Well I am pleasantly surprised at this win. That was a total playoff intensity game. Very, very, very entertaining game from stem to stern. Lots of lead changes, lots of surprise performances. So proud of the team tonight. I don't care what anyone says. That was a **quality** win. Last edited by docpaul; 11-03-2018, 09:35 PM. "Political Correctness is a doctrine fostered by a delusional, illogical minority, and rabidly promoted by an unscrupulous mainstream media which holds forth the proposition that it is entirely possible to pick up a turd by the clean end." OK, tonite, it's OK to ask HOW they won. They could have traded Westbrook to build around them, probably been better off. I f'n love beating the Celtics. 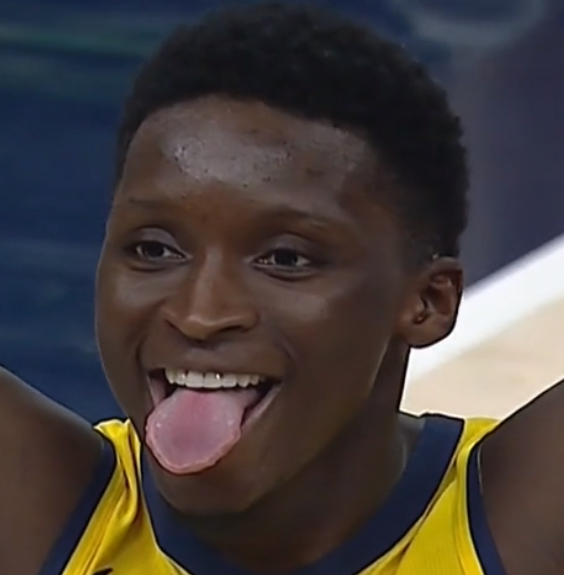 Oladipo's clutch play this week has been astounding. Victor is outplaying Paul George. He just has more heart and better leadership skills. Sabo was a big Sabonus in that trade. We officially won that trade IMO...and I never would have expected to say that. He may well be the best Pacer ever. He's really getting after it on both ends of the court.